The Continental Tire Group, which originated in Germany, now employs nearly 150,000 people in 200 cities located in 36 different countries. 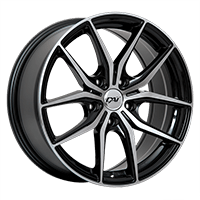 They also manufacture the following brands of tires: Gislaved, Semperit, Barum, General Tire, Viking, Mabor, Matador, Euzkadi and Sime Tyres. Continental is very environmentally-aware when designing their tires and a lot of money is invested in developing more environmentally-friendly products (reducing CO2) and in improving company practises. Continental tires are original equipment. Continental Tire mainly offers high-performance winter tires for maximal and good traction on ice and snow, respectively. 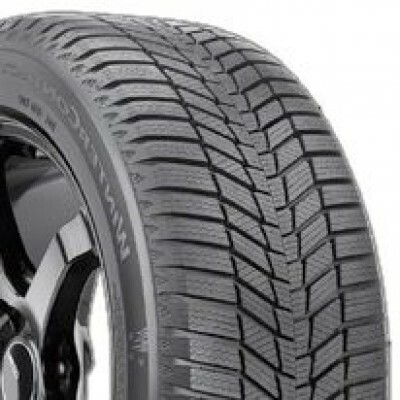 Extreme Winter Contact winter tires for cars will be perfect for on-road driving. Continental’s Conti 4x4 Winter Contact and Conti Cross Contact Winter tires have been designed for vans and SUVs in on-road conditions. LT and A/T tires will be accepted in Quebec during winter until 2014. Therefore, all Continental Conti Cross Contact LX and ContiTrac tires are allowed for jeeps, pick-up trucks and 4x4s during winter. Continental winter tires are, over all, better suited for car driving, which means their performance level will be higher on ice. Continental winter tires for cars, as well as vans, will provide less traction in heavy snowfalls. Overall, Continental designed its winter tire line for European and US conditions. Canadian and especially Quebec drivers who use secondary roads that are not cleared as much will notice that most Continental winter tires offer less traction in heavy snowfalls. 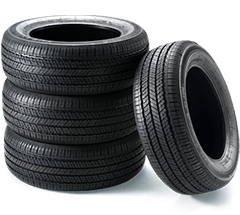 Continental Tire offers many different summer and all season tires to meet the needs of different road vehicles: sedans, station wagons, sports coupes and SUVs. Continental has different models of summer and all season tires that are known for their good durability and traction in wet and dry conditions. Continental offers good quality all season car tires, like the environmentally-friendly ContiEcoContact EP. They also have all season tires for sport utility vehicles, like the ContiTrac SUV. The Continental summer tire category includes the ExtremeContact DWS for cars and the ContiCrossContact LX for SUVs, both available in different sizes. Continental Tire offers on-road tires for trucks, vans, pickups and jeep 4x4s. More specifically, they have summer performance tires and all season tires for long hauls and city driving or for commercial use. Continental does not sell off-road tires in Canada. Continental’s all season tires for SUV on-road use, like the Conti Cross Contact LX and the ContiTrac, both offer good durability. The Vanco Four Season tire is a nice alternative for commercial road vehicles like trucks, vans, pickups and 4x4s. Continental’s high-performance summer tire, the Conti 4x4 Sport Contact, offers excellent traction on both wet and dry roads. The Continental Group is one of the biggest manufacturers of car parts in the world and is involved in many different areas of activity. In addition to tire production, Continental manufactures braking systems, instrumentation systems, car frames, electronic systems and many other components. However, Continental focuses its efforts on manufacturing on-road and performance tires for all vehicle types, including different types of trucks. Between 1935 and 1940, Mercedes cars and cars fitted with Continental tires won victory after victory in car racing. In the 1950’s, an alliance with Porsche and Daimler-Benz allowed the series of victories to continue. In 1952, the cars equipped with Continental tires won the Carrera Panamericana 1952 and the Grand Prix in France, England, Holland and Italy. Nowadays, Continental Tire is still an important car racing event partner for events like the Grand-Am Sports Car Challenge 2010 that took place in North America, more specifically in Canada, in Trois-Rivières, Quebec. However, the Grand Prix of Trois-Rivières did not include the Continental race in 2011. The Grand-Am Autosport has two categories. The “big-bore Grand Sport (GS)” where there is a match race between the most exotic sports cars, such as the Porsche 911, Nissan 350Z or BMW M3 and the so-called domestic cars, like the Chevrolet Camaro or Ford Mustang. The other category is called the “Street Tuner (ST).” This category includes compact American and imported sports cars, like the Mazda RX-8, Mazda MX-5, Chevrolet Cobalt SS, Dodge SRT4, Mini Cooper S or Acura TSX. Continental Tire has a complete range of high-performance summer and all season tires, designed for speed, that have excellent traction in wet and dry conditions. Continental high-performance summer and all season tires are great for cars, sport utility vehicles and pickup trucks. Continental offers high-performance summer tires, like the Conti Sport Contact 2 and the Extreme Contact DW for cars, and the Conti 4x4 Sport Contact for SUVs. Summer performance tires offer better traction than all season performance tires, but tend to be a bit less durable. Continental also offers high-performance all season tires like the Extreme Contact DWS and the Conti Extreme Contact, both are efficient in temperatures as low as -7 degrees Celsius and are more durable than high-performance summer tires.